Urkle Berry is an Urkle clone dom hybrid that Cannaventure Seeds made a few years ago using a Purple Berry male. Over the last couple years, since releasing a small batch of Urkle Berry, they've had a lot of restock request. The test results were amazing in resin production and taste/smell. The phenos will range from a green pheno caked in thick resin with some purple calyxes to an 80% purple colored pheno. Urkle Berry II has very tight, dense flowers, with a sweet berry type smell. Yield is average but the resin production is high, and the finished product is beautiful. 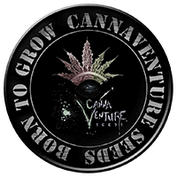 Cannaventure Seeds are releasing this batch to those that have been asking for them, at a reduced price. Once they are gone, they will not be released again, at least not by CVS.